The grassroots organizations listed on this page are all committed to bringing art into urban communities. Although these programs manifest in different ways, they all share the fervent belief that arts education is important, meaningful, and has the power to change the life course of individuals and communities alike. Each organization is founded on the desire to uplift and beautify communities, help youth become leaders, effective collaborators, and socially adapted individuals. These grassroots organizations all started with community members noticing that there were problems in their communities and working to resolve these issues in creative ways. This list of grassroots organizations features organizations committed to all different types of art, from writing to music to visual arts to performance arts such as theatre and dance. Many of the organizations have expanded from their inception, with outside donors contributing and many professional artists committing their time to help and bring art to urban youth. Click on the name of the group to visit their websites! The Youth Art and Self-Empowerment Project is a youth-led program in Philadelphia committed to using art as a means of social justice. The group is especially focused on the issue of youth being tried as adults in courts and in helping to end the cycle of incarceration for Black males. YASP works within the prisons, bringing arts education to youth awaiting trial, as well as in schools to prevent students from entering the prison system in the first place. 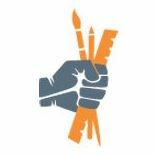 The group is founded on the belief that forms of art such as filmmaking, poetry, creative writing, and visual arts as a means of self-expression can help these youth avoid jail or lead successful lives after incarceration. The Emergence Community Arts Collective (ECAC) is a community center in Washington, DC. The center was founded and is maintained by community members. The goal of the center is to find the beauty that already exists within the community through art classes, support groups, and educational seminars. Programming and events at ECAC include both visual and performing arts, heritage education, civic engagement, and support groups. The 901 Arts Center was founded by the Better Waverly Community Organization, a neighborhood improvement organization, in order to create a space in which the community could become safer, stronger, more connected, and more vibrant. Since its inception, the 901 Arts Center has expanded to meet the needs of over 100 students in the community. The students are able to take classes in many forms of visual and performing arts, which helps them learn to express themselves, improve self-esteem, and enjoy time in the neighborhood in a safe and productive way. 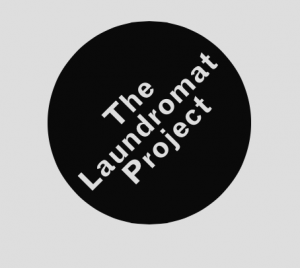 The Laundromat Project capitalizes on the existence of laundromats as public community spaces in which people can get to know their neighbors. They aim to bring together artists in communities at laundromats and encourage them to collaborate to create art. This art then uplifts the community, creating more community pride, opportunities for youth to engage in creative self-expression, and connect and bond neighbors. The Urban Arts program is one faction of Alternatives Youth, a Chicago-based organization founded by community members looking to find ways to put an end to the drug-use epidemic. Urban Arts teaches students self-esteem, confidence, self-expression, leadership, collaboration and hard work through their programs. Students at Urban Arts can participate in a variety of visual and performing arts programs after school. Founded by local artists and activists, Groundswell Murals aims to strengthen communities through the process of mural making. The organization works with the people of the communities and works to beautify neighborhoods, create community pride, and foster connections between community members. Groundswell also provides programs for youth to learn leadership skills while creating murals. SkyArt is an organization that creates a safe space in which youth in the community can attend classes. The program is available to students of all levels and ages. The programs run with an open-door policy, aiming to bring in all young members of the community and enrich their lives while honing their creativity, communication, and collaboration skills. Heritage Works aims to connect the people of Detroit with both their cultural heritage and their creative side. The organization uses art as a means of understanding and appreciating heritage and history. This increases the students’ understanding of themselves and their community, which increases self-esteem and can aid in communication, leadership, and working skills. The Detroit Children’s Choir began as a small group in one school. Since it’s founding it has grown to include youth from all over Detroit. The choir gives children a meaningful and safe space to spend their time. The choir promotes work ethic, collaboration skills, fosters friendship and community, and improves children’s ability to get in front of people and express themselves.